Walmart has this HAAN Swift Sanitizing Steam Mop (model #SI-25) for $66.50 with free shipping. This steam mop received 4.6 out of 5 stars over 37 customer reviews on the Walmart site. (Amazon has the identical item for $139.99). Description: The lightweight HAAN SI-25 Sanitizing Steam Mop is easy to use and easy to assemble. The HAAN steam mop thoroughly cleans and sanitizes small or large areas while killing up to 99.9 percent of common household germs and bacteria. The Swift electric steam mop is perfect for everyday dusting or for removing stuck-on messes. The HAAN steam mop also includes two reusable and washable Ultra-Microfiber cleaning pads and resting pad to help give you a spotless home. The cleaning pads leave a streak-free surface and dry finish in just minutes. The HAAN SI-25 Sanitizing Steam Mop is a must-have for busy households everywhere. 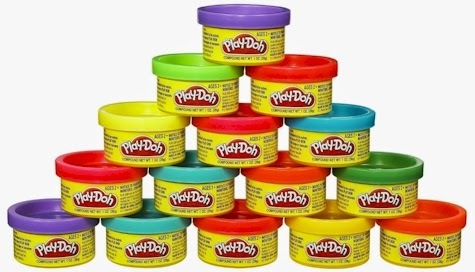 Amazon has got the Play-Doh Party Bag Dough, 15 Count of assorted colors for its lowest recorded Amazon price, $4.99. This is an Amazon Add-On item, which means that it ships for free with a $25 minimum order if you are an Amazon Prime member (and its price of $4.99 counts towards that $25), or it ships for free with a $35 minimum order if you're not a Prime member. 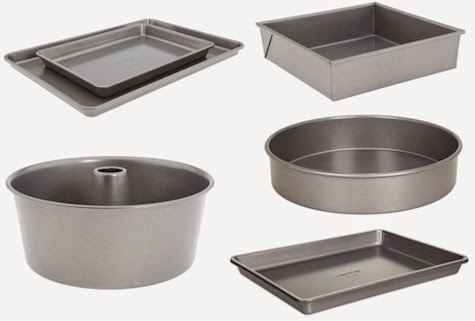 I found a whole bunch of top-brand kitchenware at 6PM that was really well-priced, and when you add today's 6PM 15% off promo code, 6PMFB123120141570, to the the mix, well, these prices become fantastic. Free shipping on everything, as usual. 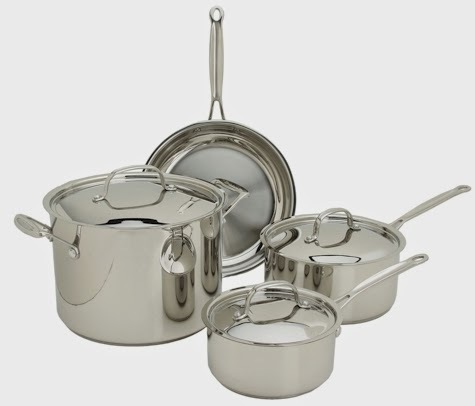 Cuisinart Chef's Classic 7-Piece Cookware Set $59.99 $50.99 after the promo code ($78.89 on Amazon). This deal is fantastic. 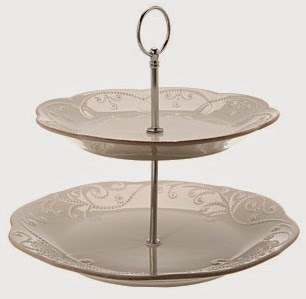 Lenox French Perle Tiered Server, $39.99 $33.99 after the promo code ($49.95 on Amazon, $49.99 on BB&B, $49.95 on Lenox.com). Lenox Tuscany Classics Shot Glass Set of 6, $21.99 $18.69 after the promo code ($39.95 on Amazon, $39.99 on BB&B). 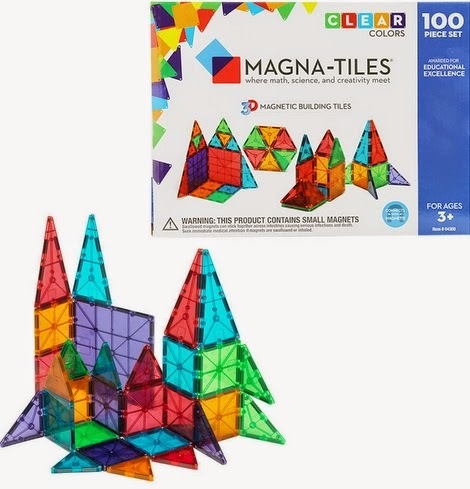 Today, 12/31/14, is the last day to get the 100-piece Magna Tiles set at 10% off with free shipping (plus a free jump rope) at Creative Kid Stuff. Get the 100-piece set for $108.00 and free shipping, along with the free jump rope. It beats every other deal that's out there on Magna Tiles, (including this Amazon price). And while you're shopping, you can feel good about your purchase, because you're supporting charitable giving: Creative Kidstuff, in partnership with Sensational Beginnings, GreaterGood and Soles4Souls facilitates the donation and distribution of product surplus to children worldwide who otherwise would not be able to enjoy high quality toys and benefit from the power of play. Every purchase made at Creative Kidstuff contributes to this initiative through the Buy a Toy, Give a Toy program. I love the idea of a toy store that gives back to the community! FYI, if you'd like to check out the Magna Tile "imitators," I've done a little summary post of their prices, ratings, compatibility with other building sets, and other good stuff over here. The other building tile 100-piece sets go from $85-$100 shipped. 6PM.com released another 15% off promo code, good today, 12/31/14 only: 6PMFB123120141570. And as usual, there is free shipping sitewide on 6PM. There are some nice clearances today on Merrell clothing and shoes. 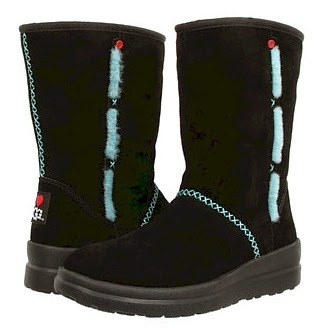 I also found these UGGs Kisses boots (at the top of this post) for $54.99 - 15% = $46.74 (lots of sizes still available). While 6PM is primarily a shoe store, and has fantastic sales on shoes and boots, I always like to check out their housewares as well. I'm always a little bit shocked pleasantly surprised at how well priced their kitchenware is. You know I'm a Calphalon junkie, right? 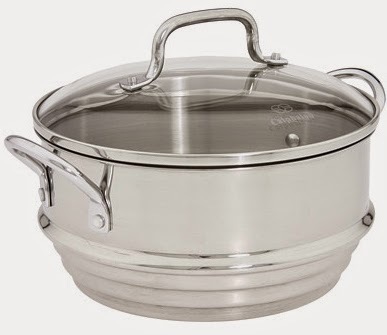 I found this Calphalon steamer insert (that I've been lusting after on Amazon where it's $68.99) for $39.99 - 15% = $33.99. Amazon has got a nice deal on a 6-pack of this 14.1 oz. 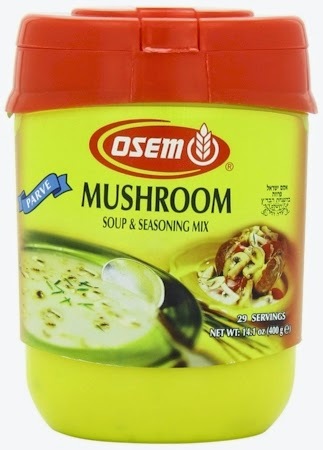 container of Osem Mushroom Soup & Seasoning for $18.99 with free Prime/SuperSaver shipping. That comes to $3.17 per 14.4 oz. container. This is probably going to be my best deal this week. Seriously. 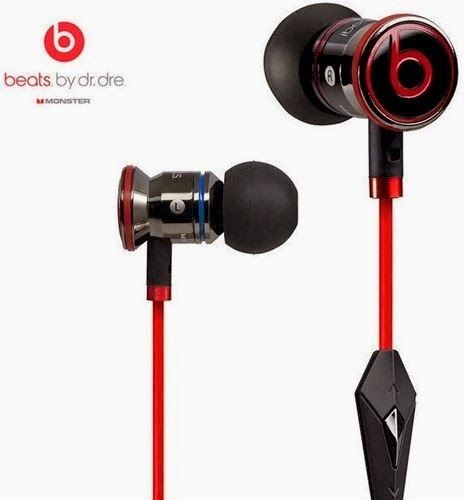 GearXS has these new Beats by Dr. Dre Monster In-Ear Headphones, either iBeats in black or UrBeats in white priced at $39.99, but enter promo code GXS-2015 at checkout and that price drops to $33.99 with free shipping. This is a crazygood deal; google these headphones and see what other sites are charging for them! Unless GearXS has a large supply, these will undoubtedly sell out. Get the Philips Norelco 6948XL/41 Electric Razor for $24.95 with free Prime/SuperSaver shipping on Amazon. It's priced at $29.95 but be sure to "clip" the special $5.00 coupon on the item page to drop that price right down to $24.95. 4.2 out of 5 stars over 759 customer reviews. To help simplify your shopping experience, we recently updated this product's packaging and name: 6948XL/41 is now called Shaver 2100. During the transition, you may receive the product in either old or new packaging. Today's Amazon Gold Box Deal of the Day is 50% off men's Eastland hiking boots and shoes, from $40-$60. Eastland is a very well-established brand of leather shoes from Maine that have been around since 1955. All of these boots/shoes have free Prime/SuperSaver shipping. There are all leather with manmade or rubber soles. 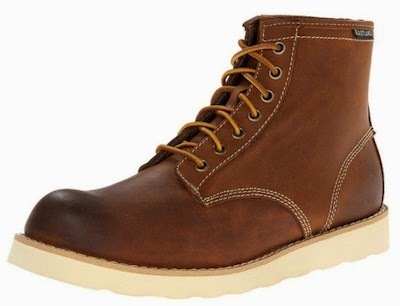 Eastland Men's Bandera Boot $120.00 $60.00. 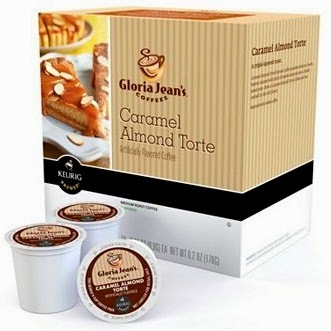 BonTon has a rather large and varied assortment of (kosher) k-cup 18-packs in some delicious-sounding flavors for $9.00 $8.10 each or less (45 cents per k-cup) when you enter promo code AFTERXMAS14 (10% off) at checkout. Free shipping on orders $25 and above, when you enter promo code DECBDAY at checkout (you can stack both promo codes). Here are a dozen of my favorites. All are OU-pareve (please note that Cafe Escapes k-cups are not under any kosher supervision). So in theory, the Lenox Holiday Jewel 2-Piece Dessert Serving Set is, I suppose, a Christmas set, but I don't think there's anything really Christmasy about them, since that red jewel color could really be anything. Ok, number of times you'd normally see a designer puffer coat at Nordstrom for under $30 shipped? Yup, that would be pretty much zero for me. 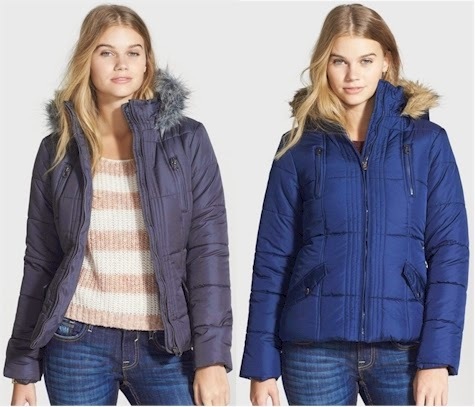 However, Nordstrom has got their half-yearly sale going on with lots of coats on substantial discounts, including the one pictured above, the Krush Quilted Hooded Puffer Coat with Faux Fur Trim for $28.80 with free shipping and free returns. Comes in sizes S-XL and in two colors, navy and charcoal. The free returns on any Nordstrom item means your purchase is virtually risk-free (and one of the reasons I LOVE Nordstrom). Return via mail and Nordstrom will pick up the postage or return at any Nordstrom store. I love cashmere, but not the hefty price that usually goes with it. Nordstrom has got these solid, 100% cashmere sweaters, available in both crew neck and v-neck, on sale for $58.90 (was $89, now 33% off) with free shipping and free returns. These make great layering pieces for school, work, holidays, etc., and are a perfect Chanukah gift. 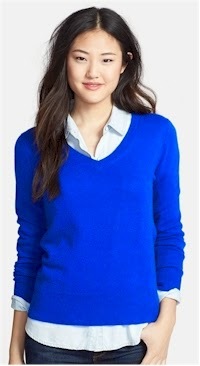 The sweaters comes in sizes XS-XL, in both regular and petite sizes, and in 21 colors. 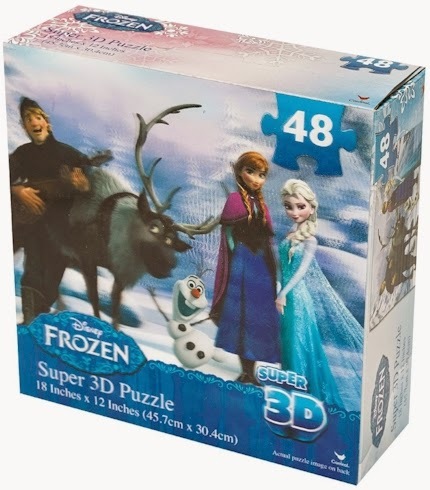 Amazon has this Disney Frozen Super 3D 48-piece Puzzle for $3.71. This is an Amazon Add-On item, which means that it ships for free with a $25 minimum order if you are an Amazon Prime member (and its price of $3.71 counts towards that $25), or it ships for free with a $35 minimum order if you're not a Prime member. 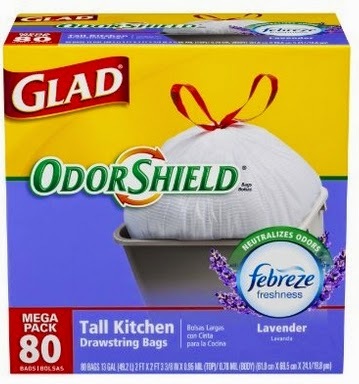 Amazon has a really nice deal on this 80-count box of Glad OdorShield bags in Febreeze Lavender scent, as low as 13 cents per bag shipped. First, "clip" the 10% off coupon here. That 10% applies to the undiscounted price of $13.76, so no matter what you end up paying, you will get a flat $1.38 discount right off the top. $11.70 - $1.38 = $10.32 (13 cents per bag) with the Subscribe & Save 15% discount (if you can take delivery of 5 or more active subscriptions in one month) . $13.07 - $1.38 = $11.69 (15 cents per bag) with the standard Subscribe & Save 5% discount. This post may contain affiliate links, which means you help support Daily Cheapskate when you make a purchase through these links. Read the full disclosure here.re. 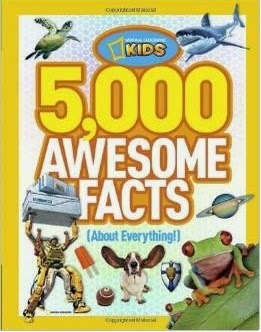 Amazon has National Geographic Kids 5,000 Awesome Facts About Everything in hardcover for $14.66 with free Prime/SuperSaver shipping. It's an Amazon #1 Best Seller, and it received 4.8 out of 5 stars over 217 customer reviews. Description: Presenting the next must-have, fun-filled gift book from the team that created Ultimate Weird But True, 5,000 Cool Facts About Everything treats kids to brain candy and eye candy all rolled into one treasure trove of high-interest fascinating facts. With post-holiday clearance sales going on right now, there has already been a great deal of price-shifting on LEGO sets. First, check out the Dozen LEGO sets under $10 that I posted about back here. I posted it a week ago, so the prices might already be different. 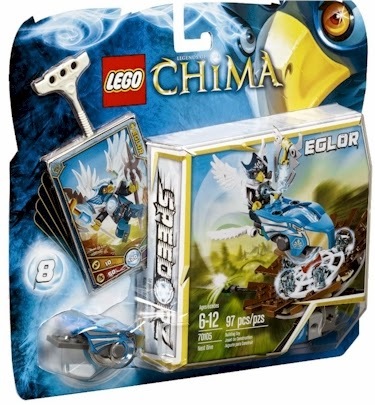 LEGO Chima Nest Dive (#70105), $8.00. 97 pieces, 4.2 out of 5 stars over 8 customer reviews. I learned my lesson after last year; why drag home 25-lb. bags of salt and ice melter from the hardware store when there is (hello?) Amazon? What was I thinking! Amazon has this 25 lb. 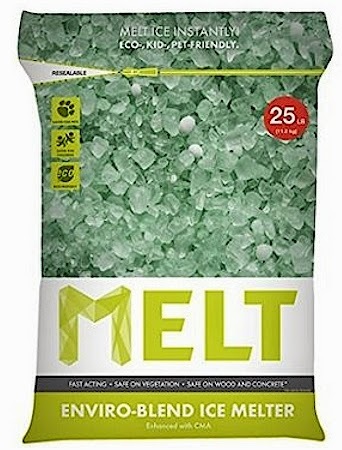 bag of Melt Enviro-Blend Ice Melter for only $11.99 with free Prime/SuperSaver shipping. It's supposed to be eco-, kid- and pet-friendly: "When used as directed, MELT enviro-blend will not harm grass, wood, concrete, metals or other vegetation and is safer for pets, children and the environment." The reviews are good, and the negative reviews are all about poor packaging rather than the product (I always ignore reviews about packaging issues because Amazon customer service is excellent when it comes to issues like that). OverHalfSale (a site owned by GearXS) has got this Disney Toy Story Coloring Shirt for $3.49 with free shipping. It comes in one size only: Youth Small. Description: Looking for a fun activity for your child to do? This is the perfect idea for your creative children! The Colorable Disney Toy Story Youth T-shirt allows your child to use their creativity and show it off afterwards! This is a great activity to keep kids busy during the summertime, after school, or with friends! 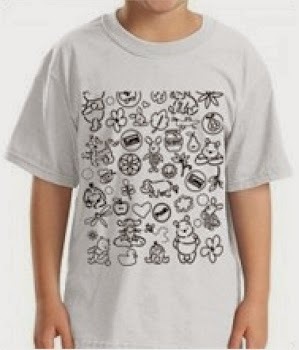 Give your child this t-shirt and washable markers and let their ideas run wild! If you need washable markers, you can pick some up here. 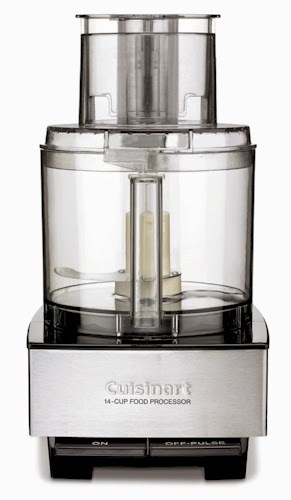 Amazon has got the 14-cup Cuisinart food processor in brushed stainless steel (model #DFP-14BCN) for $145.00 with free shipping. 4.4 stars out of 5 stars over 711 customer reviews. This is the one we have. My husband has been after me for months to swap out our incandescent bulbs for LEDs for months now, but the price on LED bulbs was still too high. 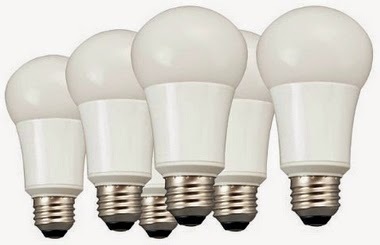 I just checked again and Amazon has got this 6-pack of LED 60-watt equivalent soft white bulbs for $36.00 with free shipping. This 6-pack was hovering at $42.00 for quite some time, so I was really pleased to see the current price. At $6.00 per bulb, it looks like we can finally pull the trigger and make the switch. Wow! Amazon has dropped the price on the Shark Navigator Upright Bagless Vacuum (model #NV22L) to $89.99 with free shipping, the lowest recorded Amazon price on this item. This vacuum received 4.2 out of 5 stars over 1,648 customer reviews. Make sure you select the purple one, as the silver one is more than twice the price. 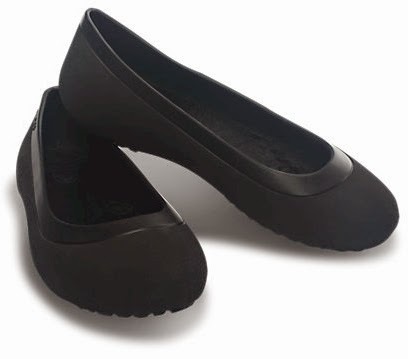 Get these Women’s Mammoth Flats or Women’s Mammoth Leopard Flats for only $9.99 (regularly $39.99, on sale for $19.99) when you enter the promo code MFLAT at checkout. Free shipping starts with a $24.99 minimum order or it's a flat-rate $4.95. These two promo codes are good through 12/31/14 only. 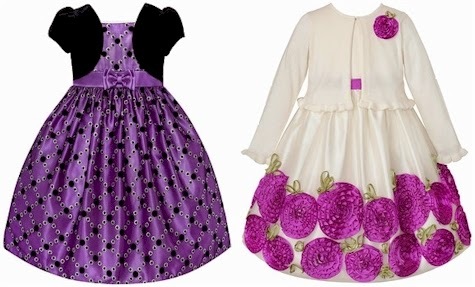 Zuliliy is having an American Princess dresses event, all $14.99 and under, and selling out very quickly. Shipping starts at $5.95 and all additional orders placed until midnight the same day as the order ship free. 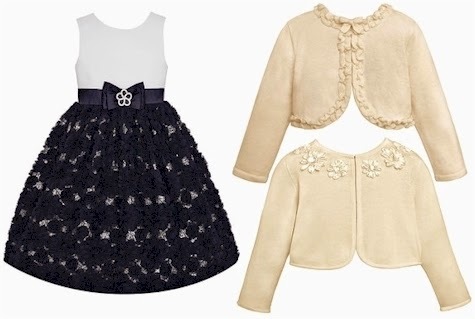 If you're new to Zulily, you can sign up over here. Amoretti syrups are very reasonably priced and are kosher under a reliable supervision, Kehilla Kosher hashgacha . 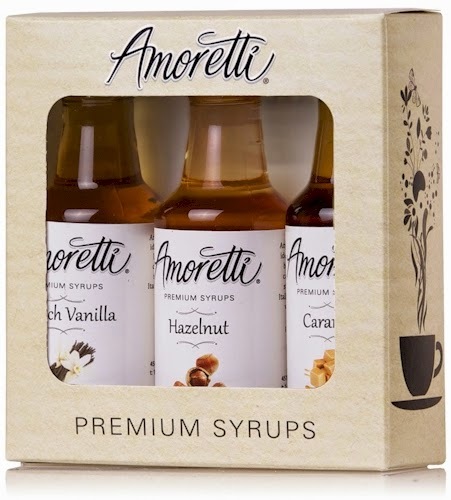 The Amoretti Premium Classic Syrups Box (50 ml 3-pack) contains French Vanilla, Caramel and Hazelnut syrups. It's available under the Amazon Subscribe & Save program, stacked along with a 30% coupon which will make for some very reasonably priced syrup. These syrups are perfect for flavoring hot or cold beverages (think hot coffee or SodaStream), desserts, or baked goods, and make wonderful hostess gifts. $10.62 - $3.74 = $6.88 with the Subscribe & Save 15% discount (if you can take delivery of 5 or more active subscriptions in one month) . $11.84 - $3.74 = $8.10 with the standard Subscribe & Save 5% discount. Print your coupon for a free Beyond Meat item here. Expires 12/31/14. 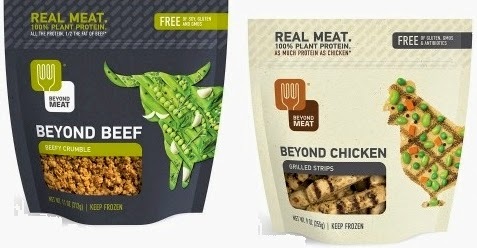 Beyond Meat is a kosher, non-GMO, vegan, gluten-free meat alternative. 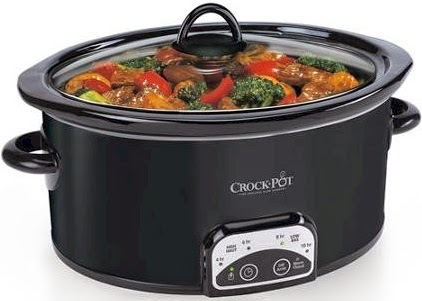 Walmart has this Crock-Pot 4-Quart "Smart-Pot" Programmable Slow Cooker for $16.88 with free in-store pickup (shipping is not available for this item). This is the lowest price I've ever seen on a programmable slow cooker. 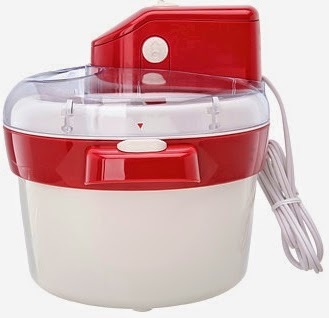 Shomer-Shabbos Daily Cheapskate readers: regarding using this programmable Crock Pot on Shabbos, please consult you local halachic authority/rabbi. 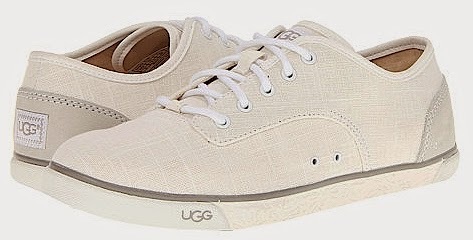 15% off at 6PM: UGG sneakers for $34 shipped! 6PM posted yet another 15% off coupon today, 6PMCN1229201415482. As always shipping is free sitewide. Use this 15% coupon to drop these UGG Hally canvas sneakers from $100.00 $40.00 to $34.00 with free shipping. 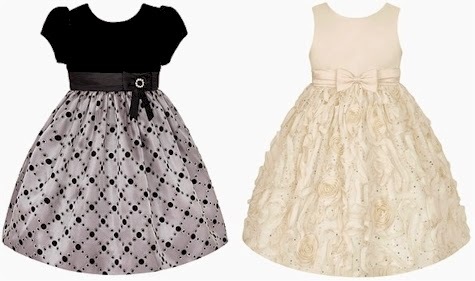 Comes in 6 colors, and tons of sizes and half sizes from 5-12. Some colors are marked $45.00, dropping to $38.25 with the promo code. Print your Target coupon for $5 off your $25 perishables purchase and get a discount on fruits and vegetables. Includes produce, deli and bakery items. No rush on using it; it expires 1/31/15. Amazon has got a nice deal on these two Shabbos "Kosher" lamps: the white for $34.99 and the silver for $34.99 with free Prime/SuperSaver shipping. This Amazon price is lower than Artscroll's price though Artscroll has a nicer color selection. What is a KosherLamp? A simple twist reveals or hides the light on this innovative reading lamp - and it can be used on Shabbos according to halacha! It's a practical and innovative idea that's perfect in any room, as a gift or for everyone in your family. Best of all, the directed light won't disturb others and uses an energy saving bulb that lasts many years worth of Shabbosim. 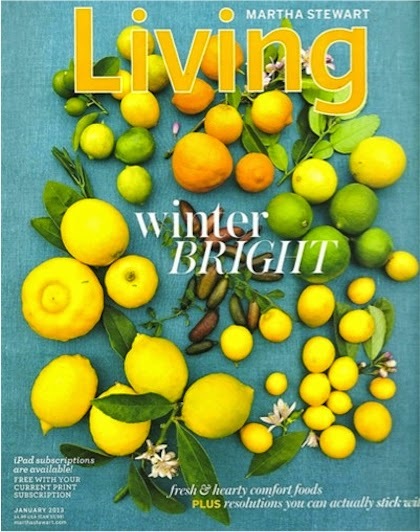 The last time I posted a deal on Martha Stewart Living it was for $15.00 per year, so I was very pleased to see that for today's deal, DiscountMags went one even better. 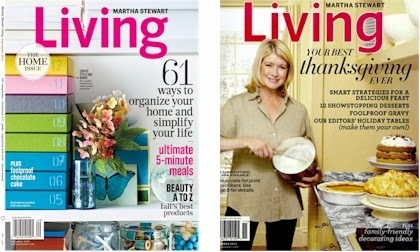 Get a one year subscription to Martha Stewart Living magazine for $9.99, 10 issues, $1.00 each, when you click here and enter promo code DAILYCHEAPSKATE at checkout. Considering that the newsstand cover price on this is $5.99 per issue, this pretty much pays for itself by the time the second issue arrives. This price is good today, 12/29/14 only, and it'll work on new subscriptions, renewals, and gift subscriptions. There are never any auto-renewals on DiscountMags. This price is good for one year only. 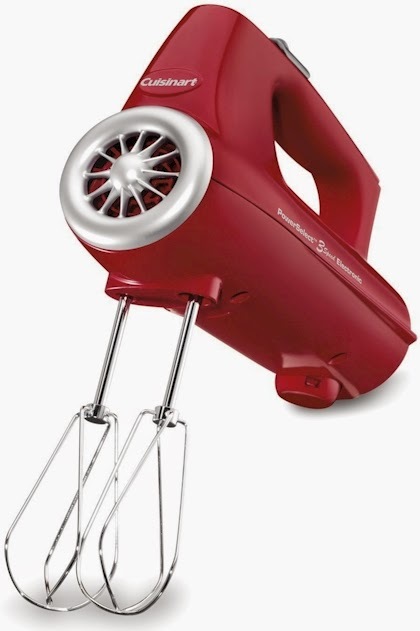 Amazon has got the Cuisinart 3-speed electric hand mixer (model #CHM-3R) for $24.00 with free Prime/SuperSaver shipping, (just 21 cents away from its lowest recorded price of $23.79 in November; I figured, close enough!). 4.2 out of 5 stars over 157 customer reviews. 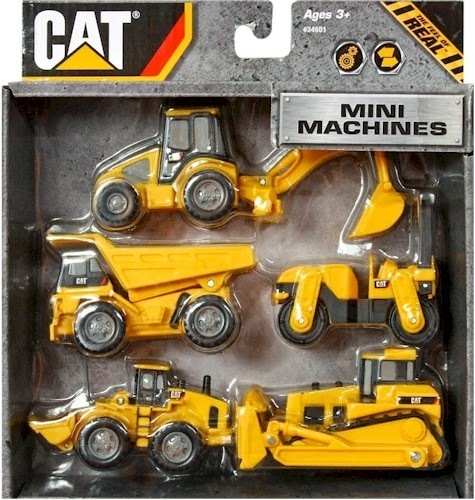 Amazon has this 5-Pack of Toy State Caterpillar Construction Mini Machines for $5.89 with free Prime/SuperSaver shipping, the lowest price ever posted on Amazon for this item.. 4.5 out of 5 stars over 324 customer reviews.